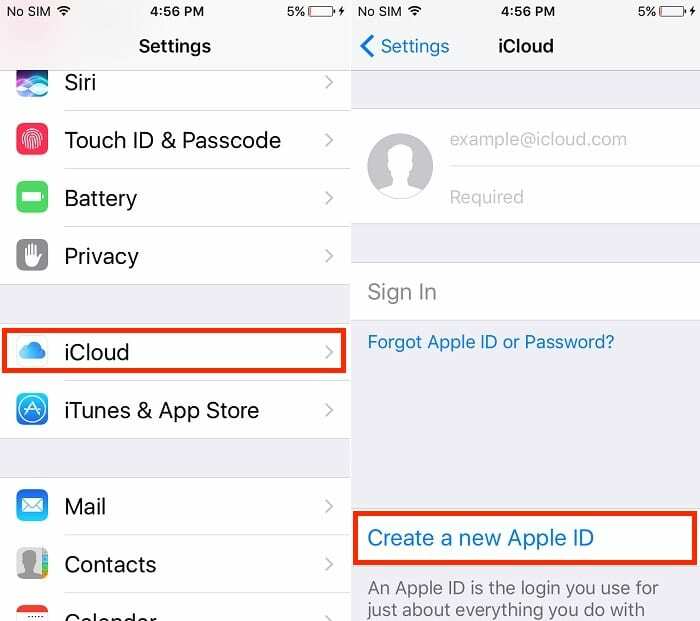 For apple users who are using Apple’s devices like iPhone, iPad and iPod touch/ Mac, Then you have to use iCloud ID like [email protected], Apple giving option to create a new Apple ID on iPhone as free account with iCloud apple ID in any number. Using this ID you can get free apple services link iMessage, iCloud, Face Time, Purchase iTunes Apps, Apple Music and Video from apps store in secure way. In case, you want to use family sharing then apple ID must be required. Also iCloud access over the web you must have iCloud apple ID created. Note: you can’t create apple ID (iCloud Apple ID), Apart from Apple’s devices (iPhone, iPad and iPod touch/ Mac) running on iOS 7/ 8/ 9 iOS 10 or later or OS X. 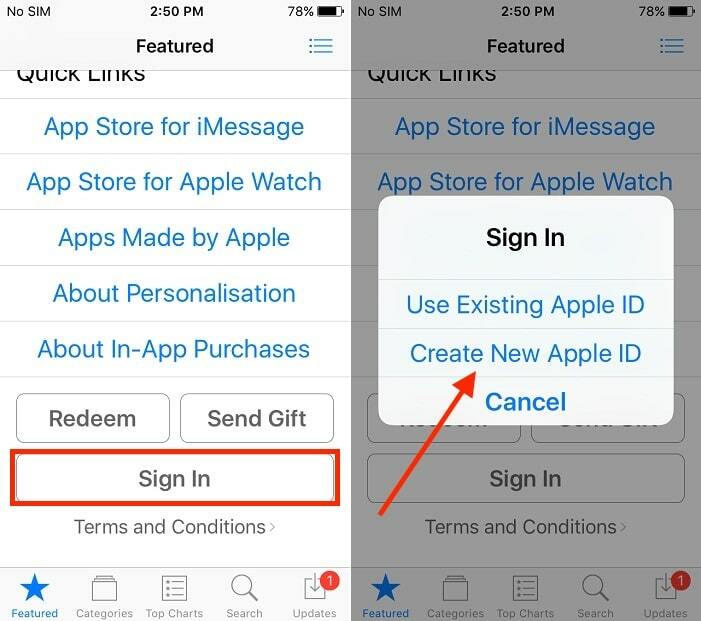 You can also use Different Apple ID for iTunes Purchase and iCloud login in same device See later after creating Account through below steps. Step 1: Existing Apple ID used, First logout existing Apple ID from your iPhone/ iPad settings app, Skip this step. iOS 10.3 or later > go to the settings > profile name > scroll down tap on sign out. Go to the Settings app, Choose iCloud > create new Apple ID. 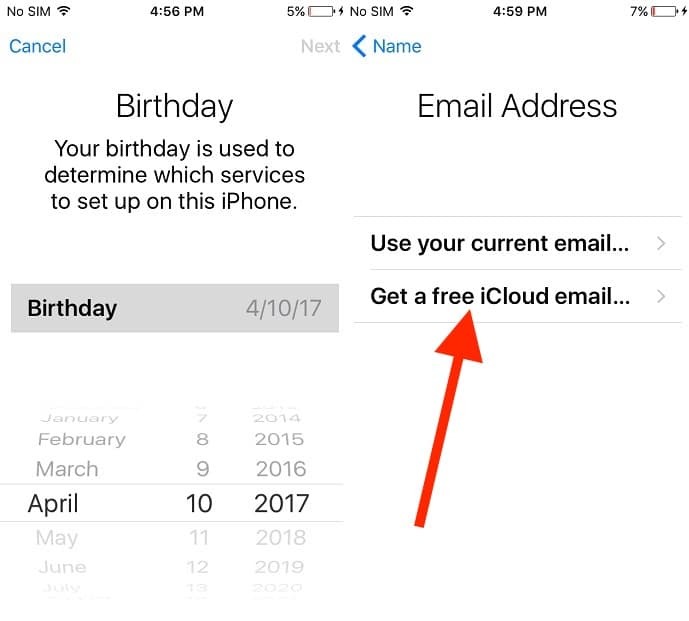 enter valid birth date And go with create iCloud email ID, Choose unique desired Apple ID username by enter in field. Enter valid security answer, And Done. This Apple ID is valid for use apple Mail service (Accessible on web icloud.com, iOS mail app, and Mac Mail app). 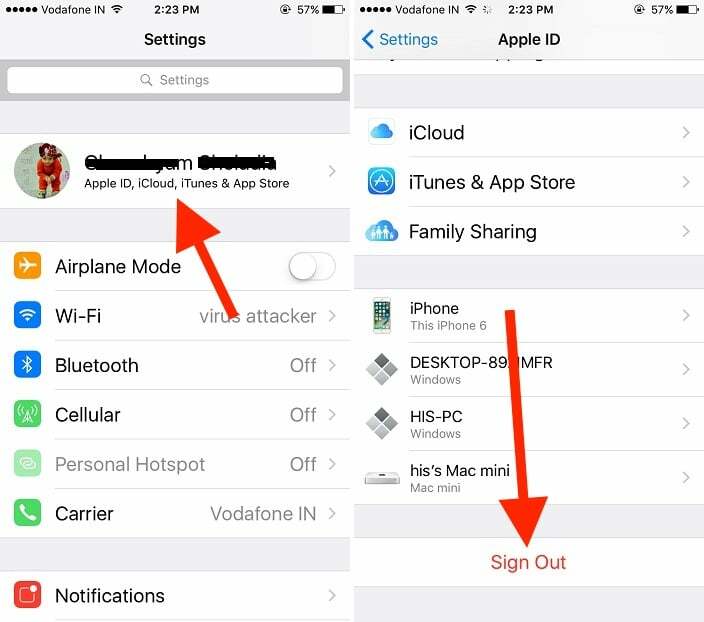 Once you complete setup for new Apple ID, we can signout new one and use existing old Apple ID by simple sign in. All data and settings automatically restore from as it is. Open app store, scroll down in the featured Tab. Sign out old Apple ID. if not, then tap on “sign in“. an option popup > Tap on create new Apple ID. Next process to complete the sign up is very easy. You don’t have a credit card, and you are getting payment option then choose “none“, for create Apple ID without card / Apple ID without payment details / Create iTunes account without credit card. here is the complete tutorial (Apple ID without credit card) none option not found in payment screen. Above steps are compatible on: iPhone 5/ 5S, iPhone 6 6 +, iPhone 6s 6s plus, iPhone 7 7 plus or later new, iPad, iPod Touch models. That’s you want to create @icloud.com iCloud ID. You have Create a new Apple ID on iPhone has been done. Now you can use same apple ID for Face time, iCloud, iTunes purchases and family sharing. 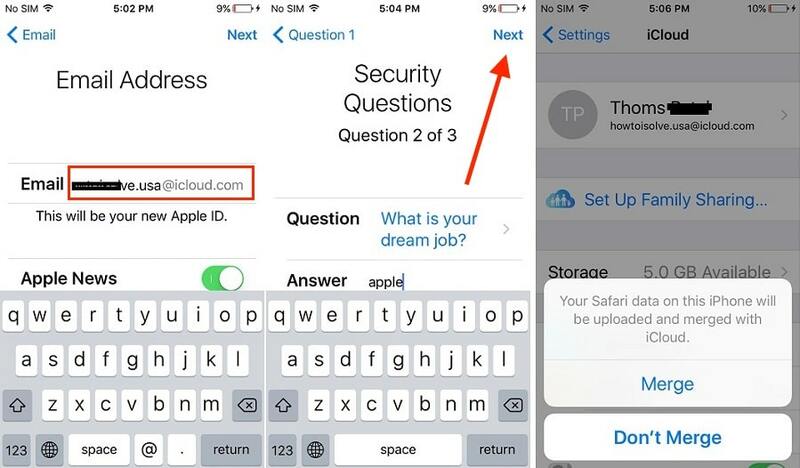 Make your iCloud Apple ID secure with two step verification; protect yourself from cheat and lost account. Feel free and join with us on social sharing, expecting any tips from ours regarding to Apple techniques and tips comment in below also how useful to Create a new Apple ID on iPhone.